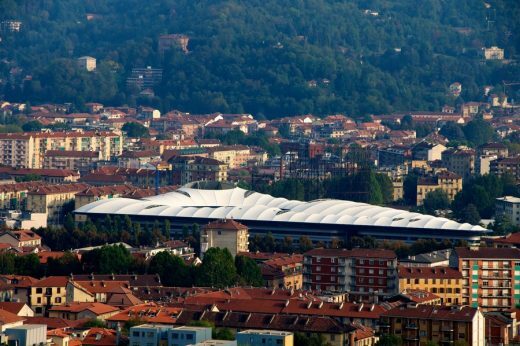 A membrane canopy for the roof planned by formTL and Foster + Partners. Since the 1990s, the esteemed university of Turin has been gradually modernising its architecture. This has involved moving all the university faculties to a new campus situated on former industrial land bordering the River Dora. The new campus is to be completed with a building complex designed by the architects Foster + Partners to house the faculties of law and political science. Student design competition for a car park site in the city. Individuals or teams of up to four architecture students are encouraged to enter this Italian architecture competitionthat aims to revitalise an unattractive part of the city. A big web-marketing agency moves into a conventional four-storey building out of the city center. It promotes a contest among design offices, asking an architecture able to represent and strengthen the identity of its immaterial work, without relying on predictable cyberpunk or – worse – high-tech languages. MARC wins of the contest with this answer: the needed architecture is…restoration.